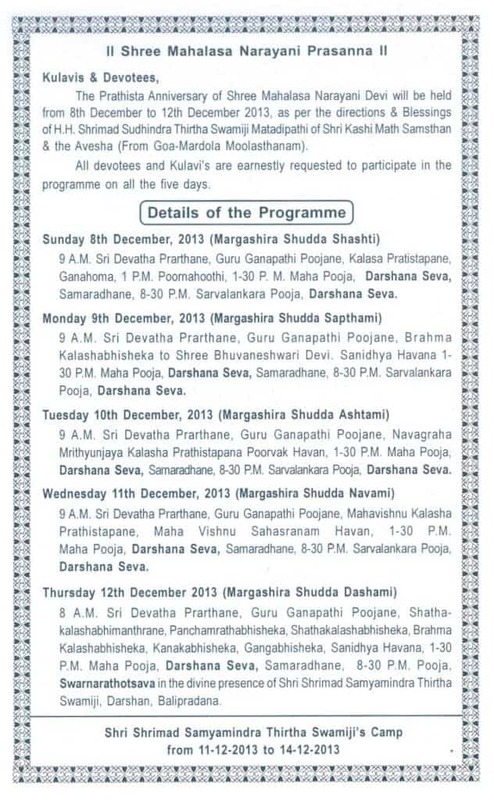 The 26th Prathishta Vardhanti Mahotsav of Sri Mahalasa Narayani Devi at Konchady Shri Kashi Math will be held from the 8th to 12th December, 2013. 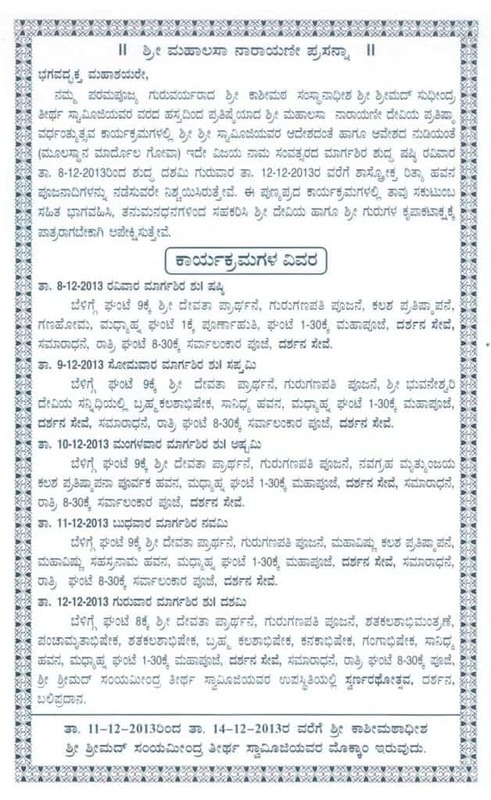 H.H Shrimath Samyamindra Thirtha Swamiji (Patta Shishya of H.H Shrimath Sudhindra Thirtha Swamiji, Mathadhipati of Shree Kashi Math Samsthan) will be camping at Konchady Shri Kashi Math from 11th to 14th December, 2013. 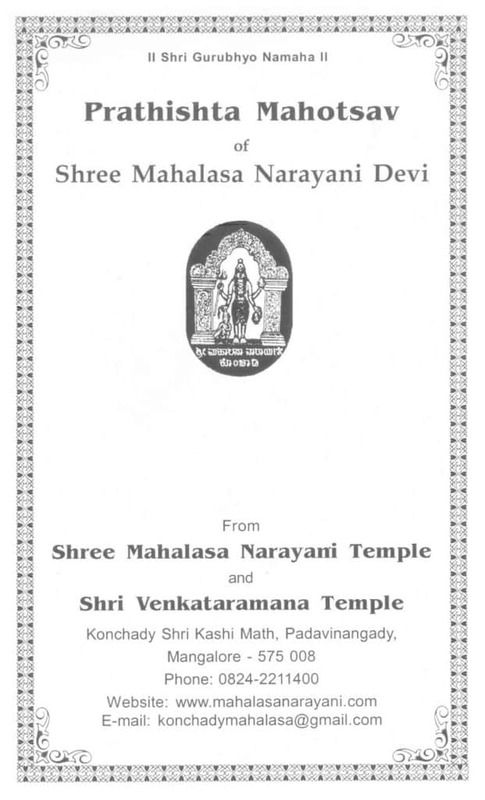 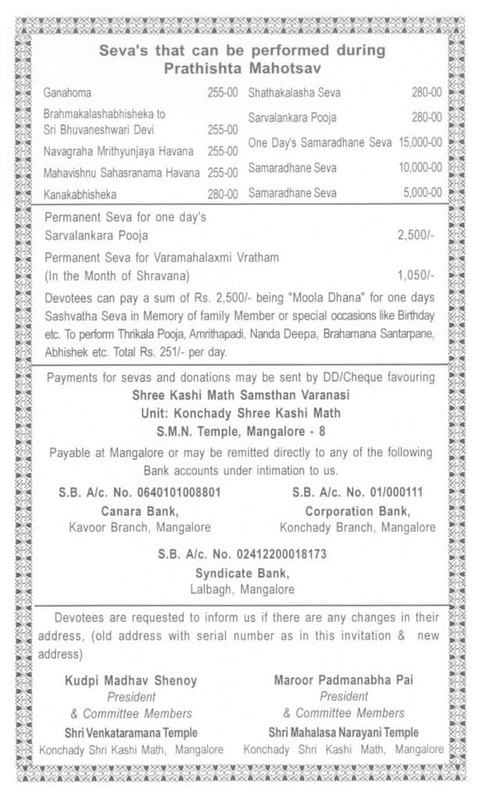 NOTE : The Swarna Ratha Utsav of Sri Mahalasa Naryani Devi will be held in the Divine Presence of H.H Swamiji on 12th December 2013 after Ratri Pooja at 08:30 PM.